Handmade leather shoes are a gift that everyone should give to themselves at least once in a lifetime. 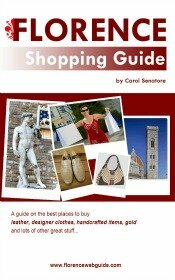 A visit to Florence is the perfect occasion to get yourself this present! Think of the comfort of easing into a pair of hand-crafted shoes custom made by an artisan in Florence, one of the shoe capitals of Italy. Italians have always been known for being skilled cobblers, and this tradition is still very much alive in today's Florence. The quality of shoes made in Italy is recognized worldwide: you just can't beat the combination of high-quality leather, exemplary workmanship and Italian stylishness. 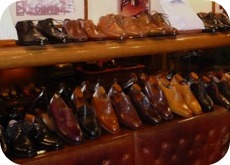 So don't miss out on a chance to take home handmade leather shoes from Florence - you won't regret it! 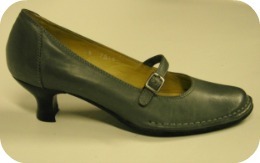 The Mannina family have been making shoes in Florence since 1942 (see a small historical display cabinet in store showing shoes that Mrs. Mannina made for her granddaughter). The store walls are covered in newspaper clippings and photos which testify to the expertise of these historical Florentine shoemakers. Mannina’s classic lines are shoes in traditional brown and black leather for men. There is a large selection for women too, with more variety and colors – still in classic styles that don’t go out of fashion. You can see the shoes being handmade in the Mannina workshop around the corner from store: leave store and go in direction towards Ponte Vecchio, then make the first left. Workshop is on the left side of the street in via Barbadori, 19r. A small family run business, the shoes are made and sold in this very simple shop-workshop. 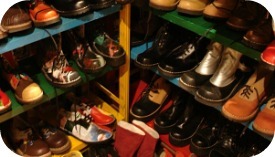 The store carries several different types of shoes but only a few pairs of each. The shoes are what are referred to in Italian as pezzi unici (literally, 'unique pieces'), translated roughly as 'limited series' models. You'll see in the shop then that they are not over-stocked, but tend to have a few items of each style and model, from traditional to trendier looks. Prices are reasonable and they often have some sale items at good bargains too. This is the kind of shop where you might not find anything that suits you, but, if lucky, you could also come out with a fabulous find. You won't have ever seen anything like this Florence shop-workshop before. 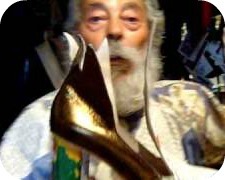 The owner, Albion, is a free-spirit who is an artist, poet (he sells a small pamphlet on the secrets to life in the shop) and – here’s the part that might interest you – a shoe maker. 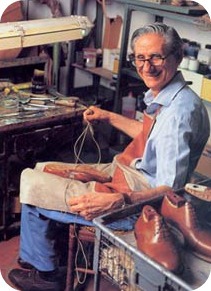 Indeed, he is regarded as a master shoe craftsman. When you walk into the store you are immediately immersed in shoes of the most bizarre styles you will have ever seen (there's also some 'regular' stuff too!). Hand painted, colorful boots and glam style very high platform heel shoes are some of the more popular models. Like the man himself, the shoes and boots in the shop are artistic, highly eccentric and inimitable. The work areas in the shop are behind high shelves so you may walk in and not see any shop assistant. Then, you hear a voice shout out and Albion pops up (the grey hair, beard and mustache, baggy clothes and slippers will let you know it’s him). According to Albion, the best time to go is in the afternoons after 4 pm to be sure the shop will be open. Getting back to shoes, if you can find a pair that you like and that fit, you will be very happy with this truly unique and one-of-a-kind Florentine shoe. Prices: usually not written, you ask the price and then you can bargain a bit. By-and-large I’d say from €100 up, hand-painted shoes in €200 range.